A confident young Frenchman named Tony strode out onto the stage of “America’s Got Talent” and declared that he “wanted to show America my kind of magic.” After readily admitting to the the judges that his parents were against the idea of his pursuing a career in show business, he asked that he be able to to show them and the judges that he had what it takes to make it as a magician. 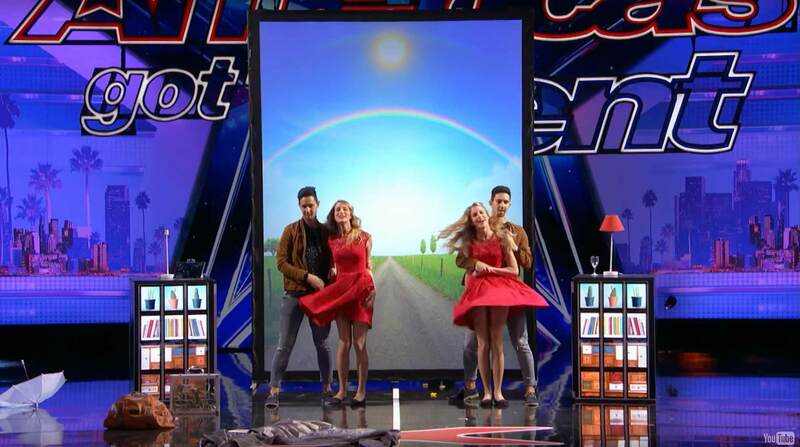 Though a lot of sceptics picked holes in the act saying it is not magic, this was definitely magical entertainment! I would not like to give away the secret but it was an act of twins. Moments after disappearing behind a screen, Tony seemed to split in two. Turns out he has an identical twin brother, Jordan. At the end of the act, the magicians’ assistant turned out to be an identical twin as well.